HPV vaccines protect against infection with human papillomaviruses (HPV), a virus that can cause a number of cancer types. Winship Cancer Institute of Emory University joins 70 National Cancer Institute (NCI)-designated cancer centers in endorsing the goal of eliminating cancer caused by the human papillomavirus (HPV). 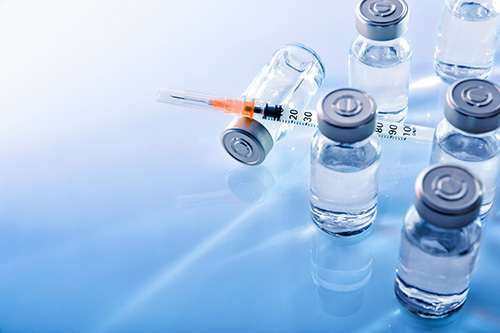 The centers, along with the American Cancer Society, the American Society of Clinical Oncology, and other national organizations, issued a joint statement calling for HPV vaccination of more than 80-percent of males and females ages 13-15 by 2020. In the statement, the group says "these practices offer a rare opportunity to prevent 12,000 cervical cancers and nearly 40,000 other HPV-related cancers among men and women annually in the United States." HPV vaccination completion rates across the U.S. remain low. According to the Centers for Disease Control and Prevention (CDC), 49.5 percent of girls and only 37.5 percent of boys, ages 13-17 years, in the U.S. completed the vaccine series in 2016. These rates are significantly lower than those for other recommended adolescent vaccinations and fall well below the nation's goal of 80 percent coverage by the end of this decade. "Winship is taking a leading role in helping to improve vaccination rates in the state of Georgia," says Walter J. Curran, Jr. MD, Winship executive director. "Our researchers, with support from the NCI, are conducting a study on HPV vaccination in Georgia looking at ways to overcome barriers so that more adolescents and young adults can complete the vaccine series." The guidelines from the CDC recommend that children ages 11 to 12 should receive two doses of the HPV vaccine six to 12 months apart. Adolescents who receive their two shots less than five months apart will require a third dose of the HPV vaccine.